Build-your-own picnic and laugh the night away! 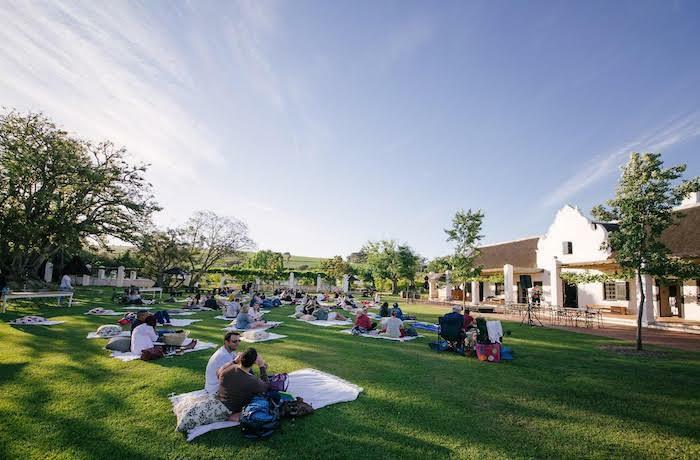 Capetonians, get ready to relax in the winelands this summer with Spier Comedy in the Vines. Comedy lovers can book their spot to the hour-long comedy shows which will offer guests the opportunity to sip on a glass of wine and indulge a farm fresh picnic under the stars while enjoying endless laughs. Featuring some of South Africa’s leading comedians, this is one summer shindig you don’t want to miss. 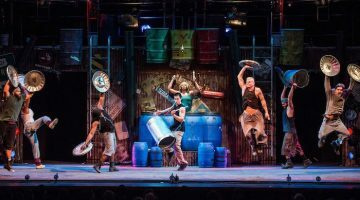 Starring Kurt Schoonraad, Rob van Vuuren, and Barry Hilton, the Comedy in the Vines events are sure to tickle your funny bone. Taking place on the lawns of the farm’s self-serve picnic concept, Spier Farm Kitchen. For a no fuss option, guests are welcome to pre-order a delicious picnic at a cost of R580 each (serves two people generously) or arrive early and browse the picnic deli to make up their own basket of fresh goodies to enjoy under the stars. Housed in a more than 200-year-old building overlooking the historic farmyard, the Spier Farm Kitchen offers all sorts of delicious goodies made using fresh, seasonal produce. Think freshly baked bread, handcrafted pies, cold meats, cheeses, salads, and more. To drink there’s a selection of Spier’s delicious wines as well as ciders, beers, coffee, or fresh fruit juices. The line-up kicks off on 13 October with Comedy in the Vines presents Kurt Schoonraad, followed by a Rob van Vuuren on 10 November and finally, Barry Hilton on 29 December. Tickets for the comedy show are R200 per person and the shows start at 18:30 with gates opening at 17:00 on the day. For more information and bookings visit the Spier website. Want more information about events happening in your city? Check out our Events section for more must-attend events! Previous post Popular Oranjezicht City Farm Market Announces Additional Weekly Market Day!